When your cause is for the cure you need everyone to know about it! Get people motivated with the Purple Ribbon Flyer. 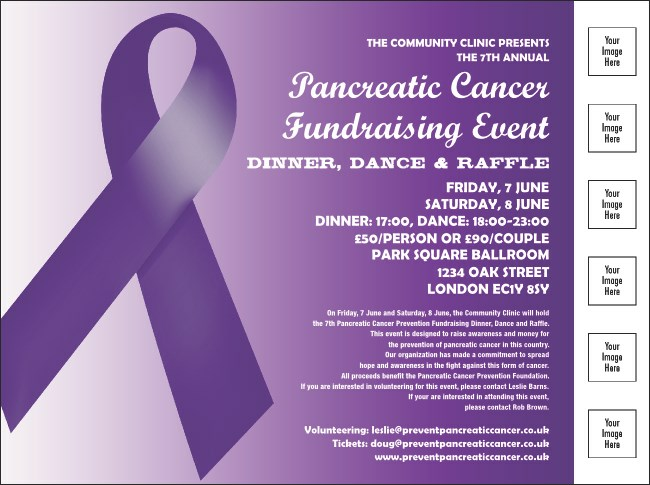 With plenty of room for your custom event information, this quality flyer features the universally recognized pancreatic cancer awareness emblem. Your cause matters! Promote it with designs from UK Ticket Printing.